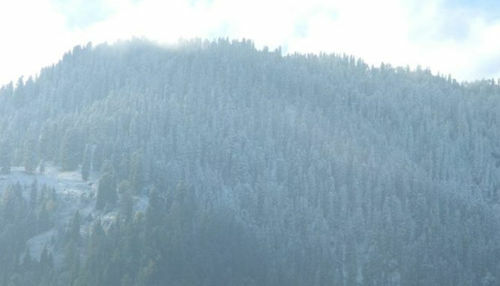 Himachal Pradesh received the first snowfall of the season. 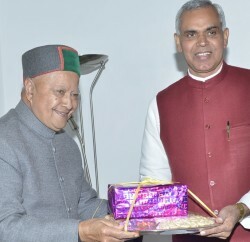 Most of higher riches of the state including Keylong town in Lahaul received 8cm, Chitkul and Raksham in Kinnaur had 5 cm to 15 cm of snow, while higher reaches such as Kunzum Pass, Rohtang Pass, Baralacha Pass, Hatu Peak, Churdhar and the Dhauladhar ranges had 15 cm to 35 cm of snow. Other lower regions have received intermittent showers accompanied with biting cold winds. Most of the prominent tourist towns like Shimla, Narkanda, Kufri, Dharamsala, Kalpa, Dalhousie and Manali received mild spells of rain. Temperature in Keylong dropped to 1.1°C, Kalpa 1.8°C, Manali 5°C and Shimla had a low of 7°C. According to the local Met office, the current spell of snow and rain will continue for the next 24 hours and, thereafter, the weather will start clearing. 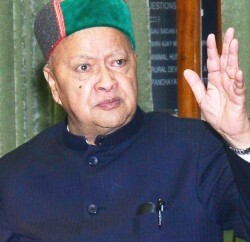 Bad weather has also forced Chief Minister Virbhadra Singh to cancel his tribal region tour as bad weather made helicopter flight impossible. 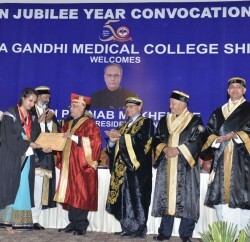 He made two attempts, one from the Kullu side and the other from Rampur, but had to return from half way.